The Govs set a program record with 10 rushing touchdowns, led by JaVaughn Craig’s four scores on the ground, which tied a program record. This time around, the Govs travel to Morehead, Kentucky to take on the Eagles in their home venue, Jayne Stadium. Kickoff is set for 5:00pm CT, Saturday, September 15th, and fans can watch the game via ESPN+. “A lot’s changed since the last time we played them,” head coach Will Healy said. “They’ll be ready to play and frustrated with what happened a year ago, so it will be a tough test. They’ve got everybody coming back: they’re just a year older, and maybe even replaced some guys that were on the roster and played against us last year. I think they’re more talented (than last year), I know they’re well-coached, and they’ll be out to get us, so it will be a tough battle,” stated Healy. The Governors begin a three-game road trip when they travel to Morehead State Saturday. They follow that up with the first two Ohio Valley Conference games of the season, at UT Martin September 22nd and at Jacksonville State September 29th. 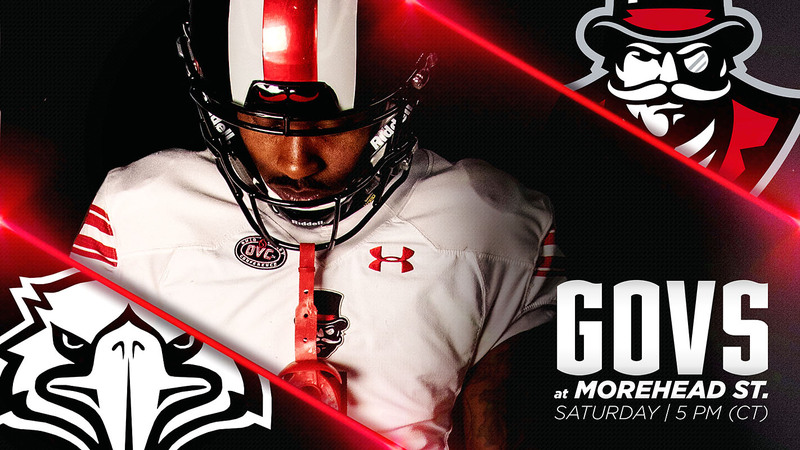 The Govs will look to win their third-straight in the series against Morehead State, having beaten the Eagles, 23-21, in 2006, and again last year. The Governors found their groove in the run game against Presbyterian, coming up just shy of 300 yards on the ground. Four different players rushed for 31 or more yards and three different players scored a rushing touchdown. The Govs will face a Morehead State defense that has allowed 257 rushing yards per game and five rushing touchdowns through two games in 2018. The Govs first touchdown drive of 2018 began at their own 9-yard line. 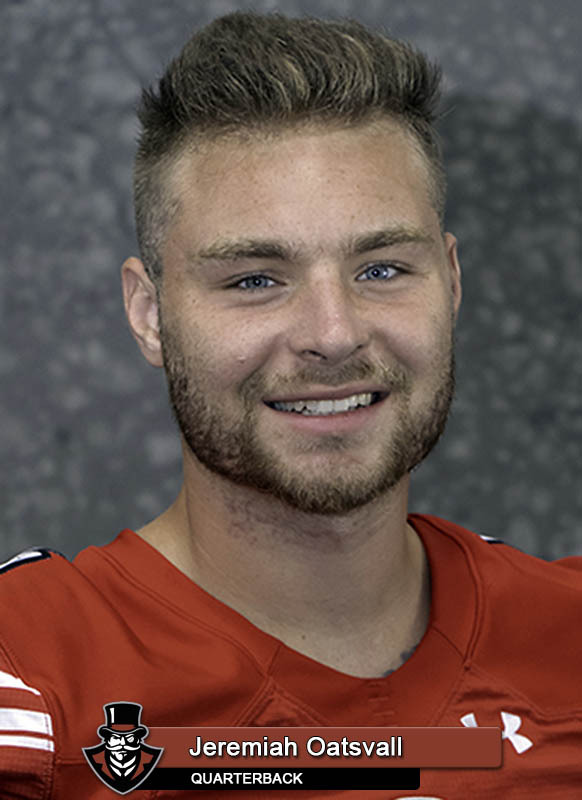 Jeremiah Oatsvall led the team on a 12-play, 91-yard drive, capped by the quarterback’s 13-yard scramble for a touchdown. The defense looked like a top unit in the FCS against Presbyterian, holding the Blue Hose under 100 yards rushing (85) and passing (94). The 179 yards of total offense allowed is the fewest the Governors have surrendered since giving up 90 to Murray State last season. P resbyterian had only 18 yards rushing on 15 carries in the first half. Cornerback Rashon Davis has made a huge impact in the secondary this season. 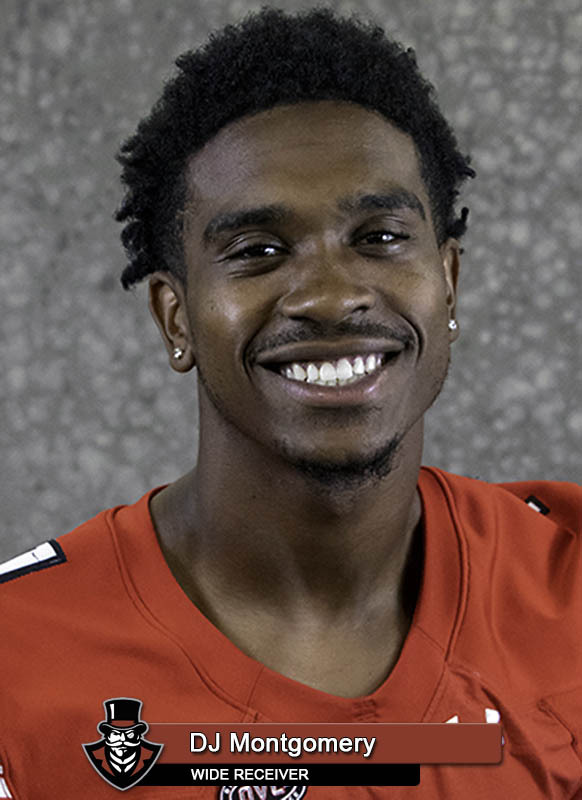 After a special teams miscue set Presbyterian up at the APSU 19-yard line, Davis jumped a pass at the goal line on the ensuing play and recorded the Govs first interception of the season. Against Georgia, Davis broke up a third-down pass in the red zone to force a field goal on the Bulldogs’ opening drive. 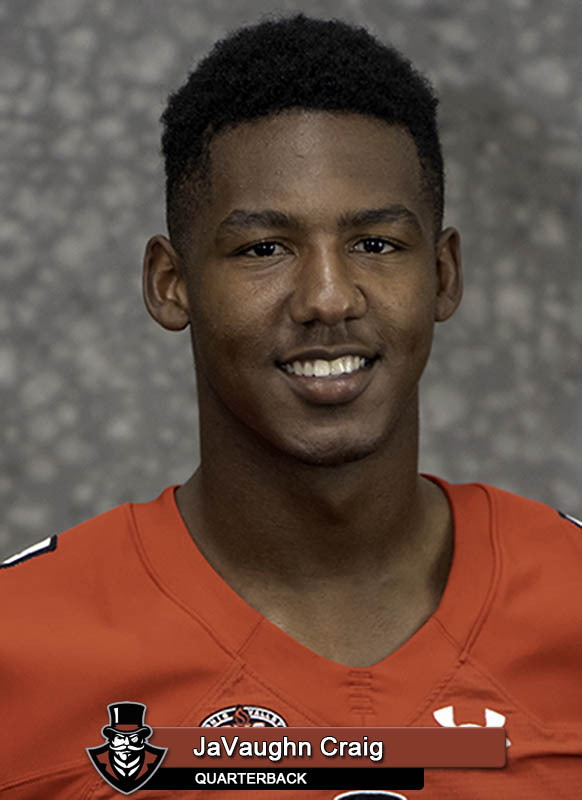 4 – Quarterback JaVaughn Craig notched the fourth 100-yard rushing game of his career against Presbyterian after rushing eight times for 108 yards and a touchdown. He averaged 13.5 yards per carry. 114 – Senior wide receiver DJ Montgomery set career highs in receptions (10) and receiving yards (114) against Presbyterian. He also set a career long when he hauled in a 41-yard reception. 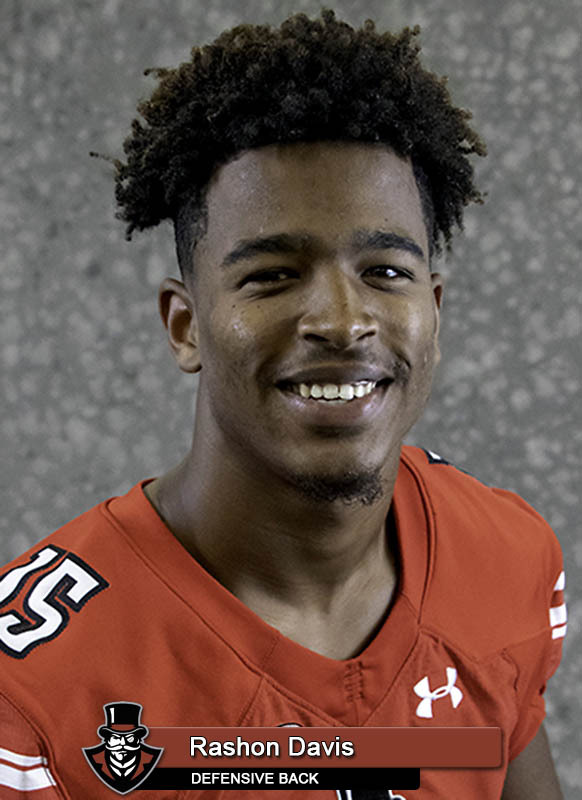 1 – Presbyterian ran one play in Austin Peay territory in the second half: the final play of the game that was stuffed for a seven-yard loss by junior Josephus Smith. 0 – With a 24-0 decision against Presbyterian, the Govs picked up their second shutout victory in the Will Healy Era. The first came last season when they defeated UT Martin, 7-0. Be sure to follow all the Austin Peay football action at LetsGoPeay.com and the official Facebook page of Austin Peay Athletics. In addition, live play-by-play coverage can be found on Twitter (@AustinPeayFB) and PeayStats.com. Live coverage from this weekend will be provided via streaming (ESPN+).